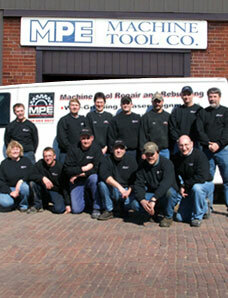 MPE Machine Tool Inc., located in Northwestern Pennsylvania, is a leader in the machine tool rebuilding industry. MPE meets the needs of industry with CNC retrofits, laser alignments and custom machine design, as well as fast and convenient service on all manufacturing machines. Our team of electrical and mechanical engineers and technicians design, develop, build and install the advanced technology that keeps American manufacturers ahead of the competition.